Along their course, sliding tendons may undergo flexion and consequent spatial misalignment from the corresponding muscle's functional axis. In order for correct biomechanical function, the angular points and lever fulcri of the tendon must be kept in their physiological osteo-fibrous grooves. The anatomic structures that carry out this task are the retinacula - focal transverse thickenings of the deep fascia that are securely anchored to bone eminences. The correct functioning of their stabilizing role is therefore of great importance because whenever it is lacking, the tendon tends to dislocate, with consequent instability. There are several degrees of severity in tendon instability: in moderate lesions the tendon tends to dislocate only when a specific movement is performed, while in more severe lesions subluxation and luxation can be observed. The possibility of performing dynamic examination makes US the gold standard technique when tendon instability is suspected. Even though tendon instability is not very common, it should always be considered when deriving a differential diagnosis, because an early diagnosis is fundamental to avoid the onset of tendinosis or of a tendon tear. The most com monly affected tendons are the long head of the brachial biceps at the shoulder and the fibular tendons at the ankle. 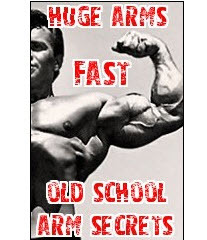 Dislocation of the long head of biceps may follow a transverse ligament tear or a coraco-humer-al ligament tear, with or without an associated tear of the subscapularis tendon . It should be mentioned that there are several congenital conditions that promote instability, such as the presence of a flat intertubercular groove. 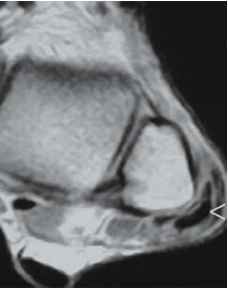 When dislocation occurs, US shows an empty groove and a medially dislocated tendon (Fig. 4.49). The application of dynamic maneuvers with external rotation of the arm, with 90° flexion of the elbow, can be useful because they reproduce the stressing action [61-64]. At the ankle, the fibular tendons are kept in site by the fibular retinacula, superior and inferior, that are respectively located over and under the angular flexion point, at the lateral malleolus . Instability is caused by a lesion of the superior fibular retinaculum with subsequent tendency of the fibu-lar tendons to dislocate anteriorly over the lateral malleolus. In short axis views, with the transducer on the angular flexion point and performing a dynamic maneuver of dorsal flexion of the foot, dislocation of the fibular tendons over the lateral malleolus can be observed (Fig. 4.50 a, b). Tendon cysts occur more frequently in the palmar aspect of fingers, along the flexor tendons course, strictly in contact with the tenosynovial sheath from which they arise. The US diagnosis is simple because they usually appear as round, anechoic, formations with well-defined walls [1,14, 15, 44]. 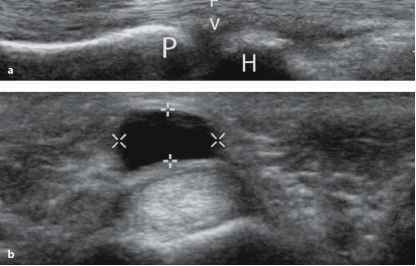 They should always be evaluated in long and short axis views (Fig.4.51 a, b); short axis views allow the relation between cyst and tenosyn-ovial sheath to be demonstrated.A dynamic examination can be performed during flexion of the fingers. Compared to tendons, ligaments are thinner and contain a higher amount of elastin, to give a better stabilization of the joints with the necessary elasticity. There are two different types of ligaments: intrinsic capsular ligaments, consisting of focal thickenings of the articular capsule with a strengthening function, and extrinsic ligaments, which do not depend on the capsule and can be further divided into extracapsular and intracapsular. US can easily assess the ligaments of the medial and lateral compartment of the ankle (deltoid, anterior talofibular and calcaneofibular), the collateral ligaments of the knee, the collateral and annular ligaments of the elbow, the coraco-acro-mial and coraco-humeral ligaments of the shoulder, and the ulnar collateral ligament of the first metacarpo-phalangeal joint . When assessing a ligament tear, it should always be remembered that US, unlike MR, is limited by its small field of view that does not allow an overview of the joint compartments. US, therefore, is not able to detect a possible concomitant lesion of the joint, which is a fundamental diagnosis in order to plan correct therapy. Ligaments are mainly affected by traumatic injuries that can be classified as 1st degree (stretching lesions), 2nd degree (partial lesions) and 3rd degree (complete lesions). They can be divided into acute, subacute and chronic. It should be kept in mind that the US assessment of a ligament injury can be more accurate when performed a few days after the trauma, in a subacute phase. Only then does the enzymatic lysis of figurative elements cause a progressive reduction of the echoes and of the corpuscular appearance of the haemorrhagic effusion. Finally, the collection appears anechoic and it is used as acoustic window to visualize the ligament lesion. 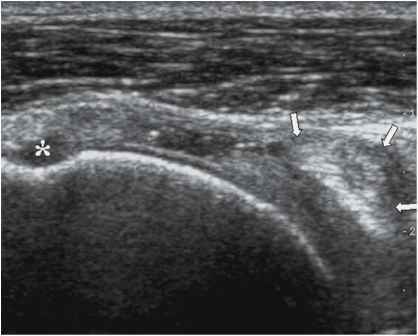 In 1st degree injuries, US shows a thickened ligament with a relatively hypoechoic appearance, depending on the interstitial edema; the ligament is continuous with a regular outline (Fig. 4.52 a, b). In 2nd degree injuries the normal echotexture appears altered. The ligament is thickened, inho-mogeneous and shows an irregular outline; a minimal discontinuity of the ligament can be observed. In 3rd degree injuries, US allows a full thickness lesion to be detected, with possible retraction of the fibers and the haemorrhagic collection filling the gap (Fig. 4.53 a,b). A dynamic examination is always useful in doubtful cases.